were home to hundreds of mental health patients from across Manitoba. Little says she hopes some other use can be found for the buildings. It's a quiet solitude Jaye Little has grown used to. 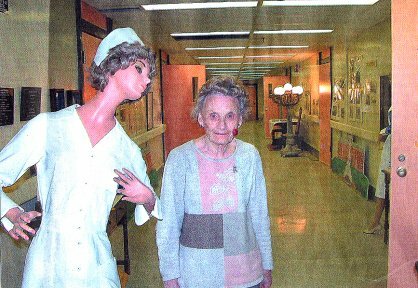 A nurse at the site for 38 years, today she shows off the artifacts used when this monolithic building on the North Hill housed hundreds of mental health patients from across the province. Thirty years ago, these halls would have been buzzing with activity. Today, you can only hear the buzz of the lights as you step from room to room, looking at the old pictures and antique medical equipment. Little crosses her fingers that one day, there will be activity in this old building again. "I was really hoping Assiniboine Community College would come up here and they could let me stay in this spot," said Little, who has run various incarnations of the BMHC museum since 1972. The four main buildings of BMHC sit empty like the ruins of some ancient civilization today. Save for the chirping of birds and the distant sound of highway traffic, not much breaks the silence drowning the verdant grounds. But not all is quiet on the BMHC front. By June 1, the provincial government and the city of Brandon will hire a facilitator to find "options" for the site through public meetings and a call for proposals from developers, options that five years after BMHC closed remain elusive to Little and to western Manitoba. The BMHC grounds may be an island of tranquility on this beautiful spring morning, b ut down in the valley the roar of the rhetoric is guaranteed to grow louder in the coming days. The be-all, end-all solution for one side is to move ACC from its crowded campus in the east end to the sprawling site on the NOrth Hill. The other side, meanwhile, finds the $66.5-million price tag for doing that too expensive. This group -- which includes the politicians picking the facilitator -- want to start over, looking at other things the grounds can be used for. Whatever happens, Little knows one thing for sure. "If ACC doesn't come up here, the mayor will have to find a place for the museum. And I will bug him, believe me," she said. 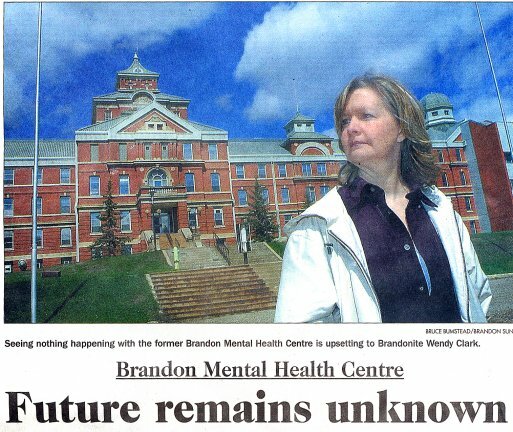 What is now the Brandon Health Centre began as a boys' reformatory in 1890. Only one boy was held there, sentenced to five years' imprisonment for stealing a letter. 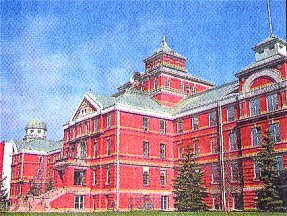 In 1891, the government decided to transfer patients from the crowded Selkirk Insane Asylum to the Brandon Asylum for the Insane. In 1910, the asylum burnt down, prompting the government to rebuild. 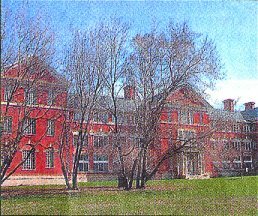 Between 1912 and 1932, the four main buildings of BMHC were built, followed later by a trades building, a doctor's residence, new barns and a new laundry facility. By the 1980s, though, the shutdown process began. Norwood Gardens was closed in 1980 and torn down. Between 1986 and 1988, groups of patients were moved to Dinsdale Park, Rideau Park and the Brandon General Hospital's Assiniboine Centre. 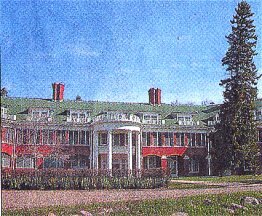 In 1922, the Valleyview building was closed for good. 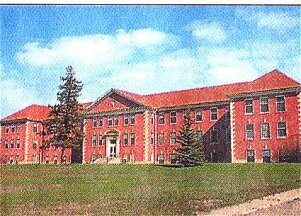 By 1999, the doors were shut to the Pine Ridge Building, the Nurses' Residence and the Parkland Building. As the regional director for the Canadian Mental Health Association, Glen Kruck was trying to help patients make the transition to living in the community. While the philosophy behind "care in the community" has been hotly debated since BMHC emptied, Kruck believes moving people out was the right choice. "The overwhelming majority of people who were there did not want to live there. They wanted to live in the community," Kruck said. Today, only Little and a group of employees that run the power plant regularly see the inside of the facility. And since the last patient left the confines of BMHC to the city in the valley below, a process has begun that five years later is starting to come full circle. In 1999, Joe Bova came to Brandon after a successful turn at revitalizing Winnipeg's Corydon Avenue. As the front man for the newly-formed Development Consortium, a Winnipeg-based group of architects and developers, it was part of Bova's job to turn ian empty mental institution into something viable. Half a decade later, after working with the city and provincial governments on a solution that never came, Bova prefers not to look back. "We had a few things I thought we could have done, otherwise we would have not been involved. But that was yesterday," Bova said. "I'm not too far away, too far out. I don't know what's going on. And honestly, I don't care." But in April 1999, Bova and the Development Consortium released their vision for the site, a thick report called Opportunities for Renewal that the city and province paid $75,000 to have done. It reviewed the state of BMHC's four main buildings and came up with a blueprint for the site, a plan to mix housing and recreational development glued together with a village-green atmosphere and a pedestrian area around the main buildings. Central to the theme was ensuring the historic buildings and natural environment be preserved while keeping the lands accessible to the public. Steve Cohlmeyer, the Development Consortium's architect believes the campus layout is what makes BMHC what it is. "The campus is more important than any single building on he site," Cholmeyer said. "Certainly walking through there . . . was like walking through an Ivy League campus. It has a very special kind of appeal and is something not to throw away." And in that sense, Cohlmeyer is at least glad that BMHC wasn't thrown away. After all, the provincial government planned to hand the City of Brandon the land plus the money required to tear down the buildings. Reg Atkinson was the mayor during this time. He signed a deal with the provincial government to turn BMHC over to the city, but it was never followed through on because of a new possibility for BMHC -- Assiniboine Community College. In 2000, the city agreed to forgo the $150,000 operating grant it was getting from the province while the buildings sat mothballed. That decision has cost the city $600,000 in lost revenue. Meanwhile, the provincial government has shelled out $2.1 million since 1999 to keep the buildings in cold storage. But while the city made concessions, the idea of moving ACC to BMHC -- the idea now paralyzing the debate -- began to take hold. "It put everything else on hold. In hindsight, (signing the deal) was a mistake. We should have gone ahead initially, taken our $1.5 million and if we had someone wanting to develop part of it we could have said "OK, here's 100 grand," Atkinson said. Renex Corporation, Bova's company, told the government in 201 that it would take between $31 and $36 million to move the college -- a price the NDP considered too high. At that point, Renex had the first right of refusal on a sale of the land. Bova said he'd reconsider purchasing it if ACC didn't move to BMHC. A second price tag was sought. In March 2003, Winnipeg-based architects needed $66.5 million to renovate the Parkland Building and construct a new trades building for the college. That's $12 million higher than the estimate to renovate and expand ACC in the east end. Steve Corbett, who studied BMHC with his partner George Cibinel, says ACC would need a new building for trades because the heavy concrete-and-brick construction of BMHC's buildings wouldn't convert easily to shops. Yet he recommended the government move the college rather than expand the east end because of the significance and the solid construction of BMHC. "If the buildings were heated and fixed up, 200 years," he said when asked how long BMHC's buildings could stand. "Each building needs maintenance, but those buildings could last quite a while." That report stayed under wraps for more than a year, until in November 2003 the region got a surprise when the DP government changed tack and said it would work with the city and developers on "options" for the site. The surprise sat the worst within the New Democratic Party. It highlighted a long-latent fracture in the party by dividing members who wanted the college to move from those in government who said it would be too expensive. Eventually, a seven-member group was formed which will hire a facilitator to get proposals from developers and listen to community input this summer before writing a recommendation later this year. Transpiration and Government Services MInister Ron Lemieux, who co-chairs the committee with brandon Mayor Dave Burgess, said he's proud of the pro cess. "We've defined a good process," Lemieux said. "Now we have to continue and diligently work through it. We have to say 'Look it. Everything is on the table. Please come forward with suggestions with what you'd like to see.'" The debate sure to plug up the public meetings centres on whether it's right to move ACC to BMHC for $66.5 million and what other developments can work. Wendy Clark has an idea. The organic inspector and environmentalist would like BMHC turned into an international centre for sustainable development. She proposes the centre would house ACC's agricultural and environmental programs and would offer courses in organic agriculture, ecology and environmental sustainability. Clark says it could be a model in environmental sustainability itself, built to standards similar to those used on revamped heritage buildings like Winnipeg's MOuntain Equipment Co-op building and REd River College's Princess Street campus. While there would be a cost, Clark says it would pay for itself by being a magnet for environmental education in North America. "The list is endless, really, of all the things we could be doing," said Clark. David Barnes has been one of the most active advocates for ACC at BMHC. He fell in love with the spot years ago when he started watching birds there and believes it could be the perfect spot for environmental education. "There's huge opportunities there because of the amount of space," said Barnes, stressing especially on the 252 acres the city appropriated from the RM of Cornwallis two years ago that surround BMHC. But Mayor Dave Burgess says whatever goes there, it must not drain the city treasury. He wants the buildings preserved, but not at any cost. He's wary for seeing millions go into BMHC for the past five years with nothing to show for it. "The decision process took five years, or more now, and cost us all a tremendous amount of money to have it in neutral. It' s very much a shame. It's a waste of money," he said. Putting an end to that annual waste will be one of the underlying forces when the development process starts up again this year. The ideas for the site are endless and that, perhaps, is part of the problem. Cohlmeyer's vision was always to have the different aspects of the site link together without losing the public aspect. He says that should include a mix of development that above all preserves the main buildings. Other ideas came out at public workshops in 1999 and will likely come out again this summer during the public meetings. A 27-hole golf course, museums, condominiums, terminal-care hospices, media production centres and a native village were just a sampling of the suggestions when Cohlmeyer, Bova and TDC did their report. Other written proposals from developers included creating a wellness centre, a Brandon Country Club, a Christian family resource centre and seniors housing. "A portion of the main building could be restored for its original intent so that treatment could be given to all members who suffer delusions of self-importance and a separate padded room could be constructed to offer treatments, of a shocking nature, for those who suffered from a sponsorship, self-imposed, phobia." Whether realistic or with a touch of satire, a better idea will be known by the end of this year, when a call for proposals goes out ot interested developers. Burgess says the difference between what happened in 1999 and what's happening today is that by August, a call for formal proposals will go out to interested developers and a suitable use will be found by January. When asked what he considers a suitable use, he doesn't want to speculate. "We may have some come forward that we haven't even though of yet . . . and it may even come to pass that we might not have any that are acceptable. That's something that we may have to face," Burgess said. Atkinson believes this new process will be a waste of time and energy because it will repeat the work that was already done in the late 1990s. He thinks the NDP government is more afraid of the political cost of going forward than the financial cost because its own supporters will rip them if it decides to knock part of BMHC down or sell pieces off to private developers. "People want to save everything. What are they trying to save? The memories, the stories, or the bricks? You can't save all the bricks," he said. Lemieux says the process is not a matter of "going in circles." He says the government values the input of western Manitobans and want s them to have a hand in whatever decision is made. "You have to trust in people," he said. "People will make the right decisions. They understand this is financially challenging and won't be easy." But there is little trust right now. Like many who want to see the buildings preserved, Little is guided not so much by what she hears but by what she feels over the questions of BMHC. For now, she'll keep at her museum, surrounded by silence and uncertainty. "I was hoping something could have happened by now," she said. "I just have this horrible feeling that they will knock these buildings down." Built in 1912, this four-storey building is the largest of the major buildings, with approximately 200,000 square feet of floor space and another 100,000 square feet of storage space. While the Development Consortium suggested it could become offices, retail space, a hotel or museum, it has been suggested as the site for Assiniboine Community College, provided a new trades wing is attached to it. The newest and smallest of the four main buildings, the Pine Ridge building was finished in 1932 and housed BMHC's female patients. It has 30,000 square feet of usable floor space and was not considered "a priority" for development by the Development Consortium, although it suggested it could be used for office space. Built in 1922, it is the only building protected as a provincial heritage site. With murals, mosaic-tile floors and detailed wood carvings, the building is thought to have the most heritage significance of any of the main four buildings. The building overlooks the forested ravine that runs along First Street. The Nurses' Residence was closed in 1998 and has been sugggested as the possible site for a hotel, seniors housing complex or helath and wellness facility. The ACC culinary arts department also had its eyes on the building's institutional kitchen. They currently do their cooking in a cramped church basement. One suggestion has been to combine a kitehcn/restaurant with a residence for ACC students. Finished in 1924, the Valleyview building was the first to be shut down and has paid the price for it. By 1999, it was ruled to be in poor condition, needing a new roof and new windows. The Valleyview building sits at the east end of the site, is three stories high and has 50,000 square feet of usable space. The Development Consortium suggested it could be used for apartments or some sort of entertainment endeavour.